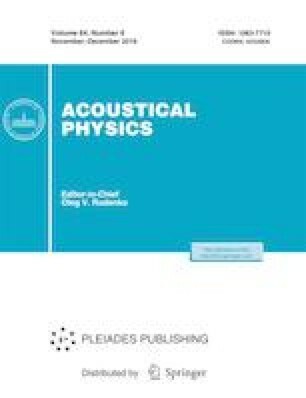 To study the directional properties of geoacoustic emission, the paper proposesthe use of a combined point receiver system moored at the bottom of a natural waterbody in Kamchatka. This system was used to analyze geoacoustic radiation in seismically quiescent periods and prior to earthquakes for the period of 2008–2016. For 111 cases of geoacoustic emission anomalies recorded in a three-day interval prior to earthquakes, the directions of maximum radiation were considered. These maxima were used to assess the orientation of the axis of maximum compression of rocks at the recording point.